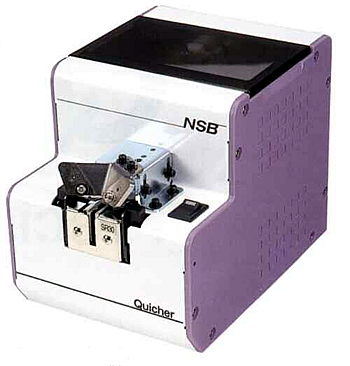 QUICHER ALONE CAN COPE WITH VARIOUS TYPES OF SCREWS. AUTOMATIC SCROW FEEDER WITH THE WORLD'S FIRST REPLACEBLE RAIL. 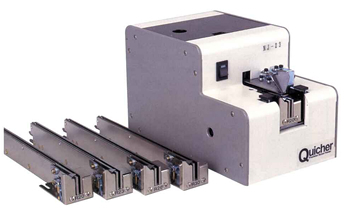 WITH QUICHER,TI IS EASY TO REARRANGE THE PRODUCTION LINE TO MEET THE CHANGE OF SCREW DIAMETER AND FROM. IT ALSO HELPS YOU TO IMPROVE THE QUALITY CONTROL AND PRODECTIVITY. THIS NEW BIT GUIDE LEADS THE SCREWDRIVER BIT TO THE CWNTER OF THE SCREW HEAD. IT WILL IMPROVE PRODUCTIVITY. 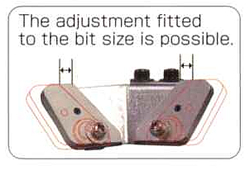 WITH A SLIDING ADIUSTER, THE BIT SIZE CAN BE CHANGED. INCREASED DURABILITY AND LONG LIFE IS ASSURED. THE LOAD ON THE MOTOR IS DECREASED AND EFFICIENCY OF THE SCREW ALIGNMENT IS INCREASED. THE TILTING ANGLE OF THE RAIL IS ADJUSTABLE ACCORDING TO THE SCREW SIZE TO BE USED. THE AMPLITUDE IS ADJUSTABLE TO SUIT THE SCREW SIZE TO BE USED. 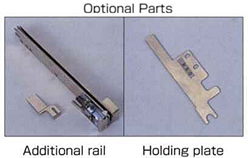 THE ROLLING OF THE RAIL IS ELIMINATED AND THE SCREWS ARE CARRIED SMOOTHLY. 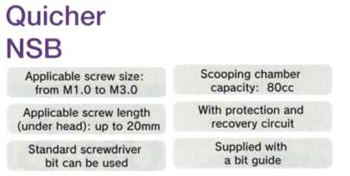 ONE QUICHER CAN COPE WITH EIGHT DIFFERENT SIZES OF SCREWS. IT IS COMPACT AND SPACE SAVING. 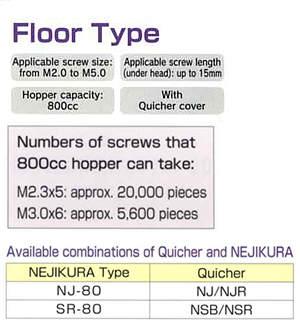 WITH INSTALLATION OF NEJIKURA, THE LARGE STOCK OF SCREWS CAN BE LOADES. 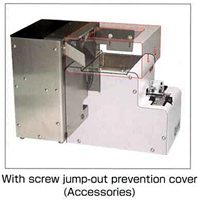 IT IS EQUIPPED WITH AN OVERLOAD BACKSTOP PROTECTION CIRCUIT. IT IS EASY TO REPLACE THE RAIL TO MEET THE CHANGE OF SCREWS. 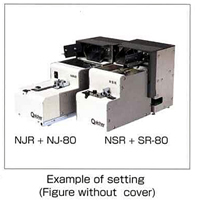 WHEN YOU PLACE AN ORDER, PLEASE SPECIFY THE TYPE NUMBEW OF THE APPLICABLE RAILL. 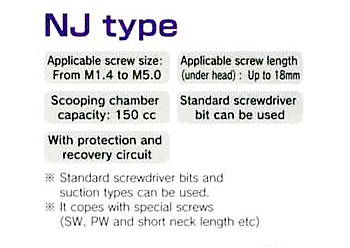 THE STANDARD SCREWDRIVER BIT ON THE MARKET CAN BE USED. UP TO 150cc SCREWS CAN BE LOADED. THE SCREW ASSEMBLED WITH WASHER OR SW CAN ALSO BE COPED. IT HANDLES THE SCREW SIZES OF UP TO M5.0. IT IS EQUIPPED WHIS AN OVERLOAD REVERSE PROTECTION CIRCUIT. IT COPES WITH THE VARIOUS SIZES OF SCREWS. 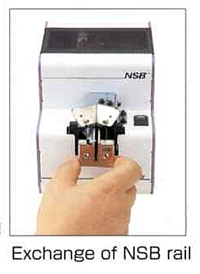 MODEL NJ-23 HANDLES FOUR SIZES OF SCREWS. THE ANGLE OF INCLINATION DEGREE ADJUSTMENT OF THE RAIL IS POSSIBLE BY THE KIND OF SCREWS. WHEN YOU PLACE AN ORDER,PLEASE SPECIFY THE TYPE NUMBER OF THE APPLICABLE RAIL. ONE ESCAPER COMES WITH THE RAIL. ■ IT IS EASY TO INSTALL. JUST PLACE IT BESIDE QUICHER. 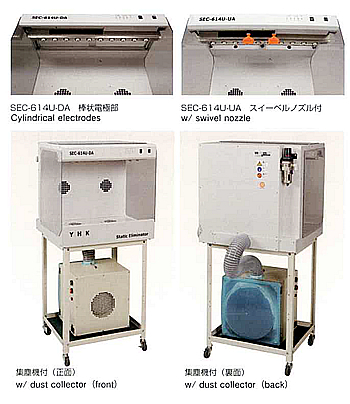 ■ IT IS SMALL AND SPACE SAVING,BUT TAKES UP TO 800cc OF SCREW STOCK. 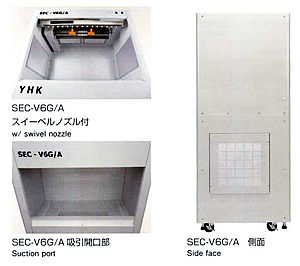 ■ IT REQUIES NO VERTICAL SPACE. ASENSOR DETRCTS THE AMOUNT OF SCREWS QUICHER AND NEJIKURA SUPPLIES OPTIMUM AMOUNT OF SXREWS AUTPMATICALLY. THE WORKING TIME OF THE ROTOR (IMPELLER) CAN BE ADJUSTED BY A TIMER. 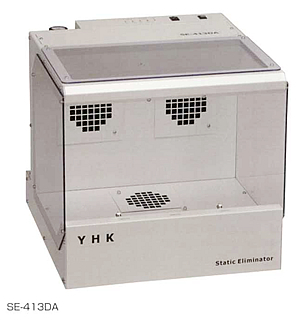 THIS SERIES, BOASTING UNPRECEDENTED SUPERIOR SPESIFICATIONS IN 400mm WIDTH PRODUCTS, IS AVAILABLE IN VARIED MODELS. 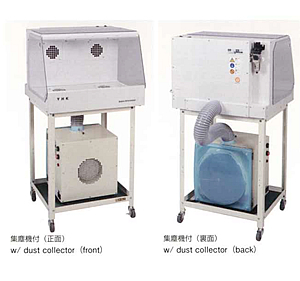 TRIPLE DUST COLLECTING ABILITY COMPAREDTO SE-300 SERIES CONTRIBUTES TO RESTRICTION OF DUST SCATTERING AND PREVENTION OF REATTACHMENT OD DUSTS. 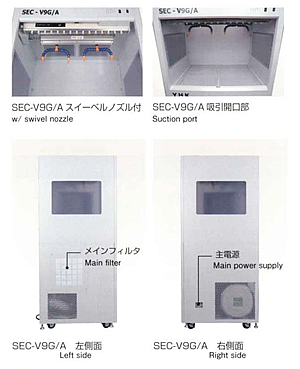 SERECT THE MOST SUITABLE PRODUCT FOR WORK SIZE AMONG VARIED MODELS. 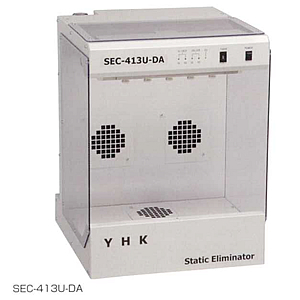 THIS 400mm WIDTH SERIES, HEAVING LOW-FREQUENCY WAVE BAR IONIZER, CONTRIBUTES TO COMPLETE EFFECTIVENESS IN EVERY DETAIL. 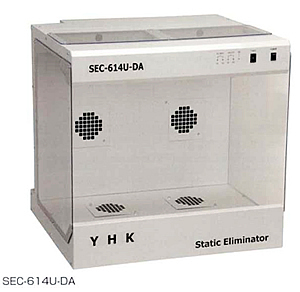 THIS SERIES, DEVELOPED FOR MIDDLE-SIZE AND RELATIVELY WIDE WORKS, FEATURES SUPERIOR CAPABILITY OF DUST COLLECTION, RESTRICTION OF DUST SCATTERING, AND PREVENTION OF REATTACHMENT OF DUSTS. 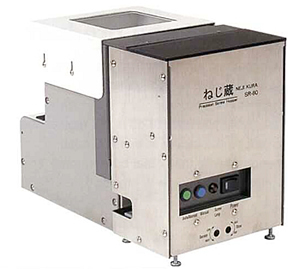 AMONG DESK TOP TYPE PRODUCTS, THIS UNPRECEDENTED LARGE-CAPACITY SERIES WIDTH 600mm WIDTH FEATURES SUPERIOR PERFORMANCE. 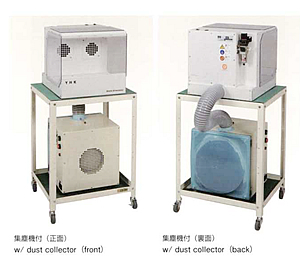 THIS SERIES, DEVELOPED FOR LARGE WORKS, HAS FOUR DUST COLLECTING BLOWERS, AND FEATURES SUPERIOR CAPABILITY OF RESTRICTION OF DUST SCATTERING AND PREVENTION OF REATTACHMENT OF DUSTS. SELECT THE MOST SUITBALE PRODUCT FOR WORK SIZE AMONG VARIED MODELS. 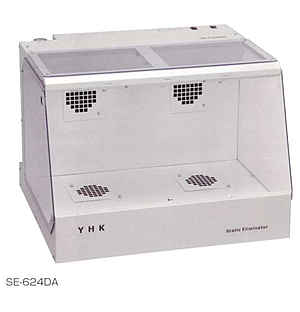 THIS SERIES OF 600mm WIDTH, HEAVING LOW-FREQUENCY WAVE BAR IONIZER, CONTRIBUTES TO COMPLETE EFFECTIVENESS IN EVERY DETAIL. 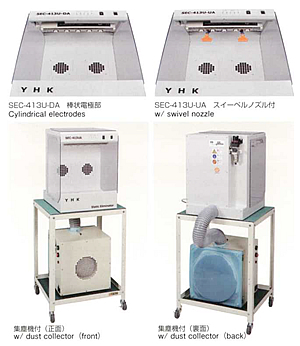 THIS SERIES, DEVELOPED FOR LARGE AND RELATIVELY WIDTH WORKS FEATURES SUPERIOR CAPABILITY OF DUST COLLECTION, RESTRICTION OF DUST SCATTERING, AND PREVENTION OF REATTACHMENT OF DUSTS. 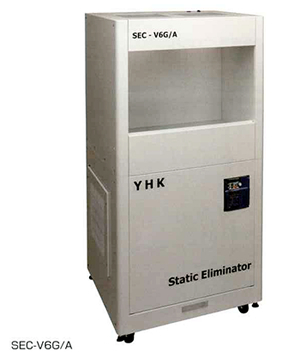 SUITABLE FOR APPLICATIONS RELATED TO MIDDLE-SIZE WORKS AND COMPLETE ELECTROSTATIC ELIMINATION AND DUST REMOVAL ARE REQUIRED. 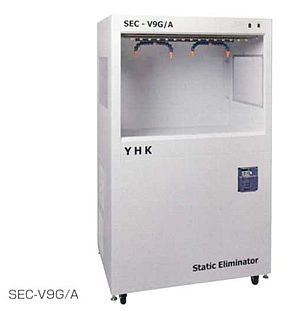 SUITABLE FOR APPLICATIONS RELATED TO LARGE WORKS AND COMPLETE ELECTROSTATIC ELIMINATIONAND DUST REMOVAL ARE REQUIRED.